Collateral never fails to help a brand strike a chord with its audience. 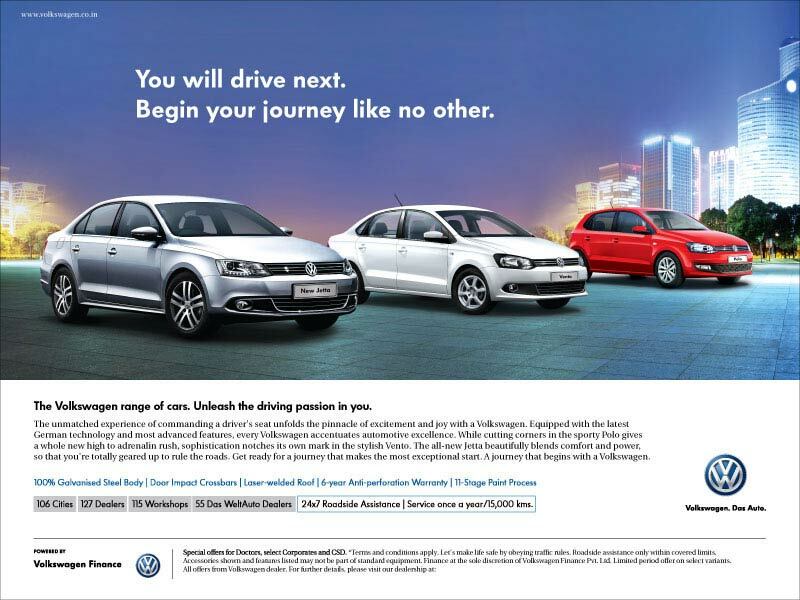 And this time, the task at hand was to create an ad for Volkswagen for a target group of 15-18 yrs old teens. Our insight lay in teenagers’ passion to begin their driving journey. The communication was crafted to urge them to begin this journey with a Volkswagen when they would become eligible. The classy background gave a high visual appeal to the cars. Highlighting distinctive features further contributed in raising the aspiration. Although it was challenging to appeal to teens for a car segment, Collateral once again moved beyond challenges to deliver success.